Oh my goodness. 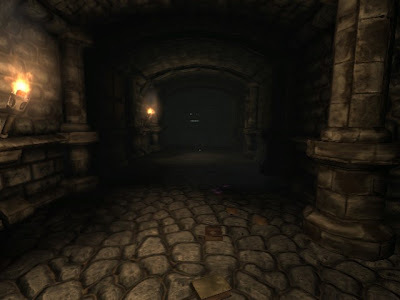 I played 24 minutes of Amnesia: The Dark Descent today and my heart was just pounding with every step I took. I played in the dark with a set of headphones on. The headphones really help immerse you into the game, as sounds become directional and make you feel as if you're really in the castle roaming about. Part of what's scary is your character walks slowly, and doesn't run that much faster. I only played up to the first auto-save, where the game begins loading the next level. I would peek around the corner and into rooms, checking every angle before advancing. 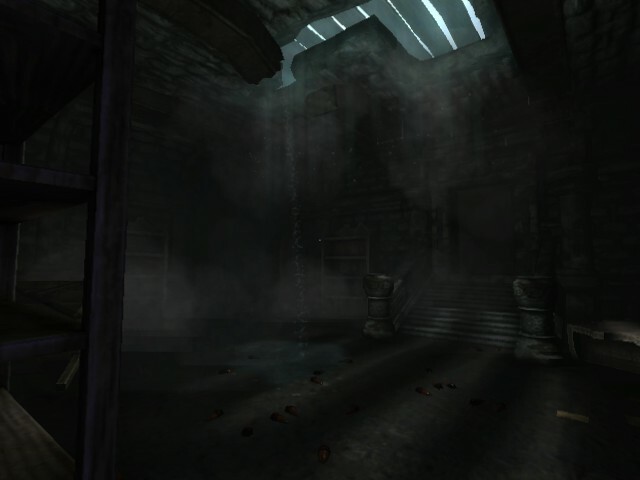 For a game to put so much fear into my mind using eerie sounds such as wind, thunder, and rain and seeing pink stains splattered randomly on the floor is amazing or thick fog. Of course there's a couple extra tricks thrown in for good measure, such as moments where the character loses focus and the lights going out. Note, however, that the character loses sanity in a dark room and the player needs to seek light or light a candle. I wish I could say I stopped playing because it was getting late (around 4 AM in the morning) and I needed to go to bed, but honestly I just accumulated so much tension that the next sudden movement or visual effect would just have me jump out of my seat and scream. As a result, I'd probably knock something on my desk over and wake up sleeping family members. Seeing as my friend and I both screamed once yesterday (201207120200) playing Dead Space: Extraction at around 1 or 2 AM in the morning, I figured I save the anxiety associated with Amnesia for another day. Today my friends came over for Thanksgiving dinner and after playing a little Portal (2007) we tried playing some Amnesia: The Dark Descent. We played with the lights off, but the game was definitely not as scary with the sound coming through the television speakers as opposed to with the sound coming through a pair of headphones. From this, I recommend you only ever play this game in the dark wearing a pair of headphones. If you want to have someone join, then you will need to purchase an audio splitter, because the impact of the sounds great diminishes when not wearing a pair of headphones. In any case, as a group, we eventually got stuck and couldn't figure out how to proceed. I recall we ended up playing some Jamestown (2011) before calling it a night.